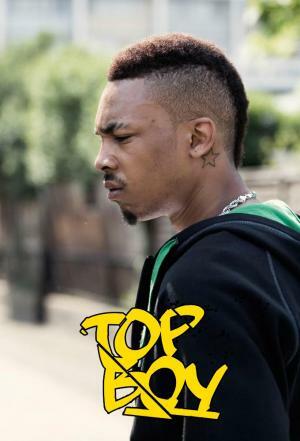 Top Boy (2011) : Série TV de 2 saisons et 8 épisodes diffusée sur Channel 4. Casting, acteurs, bandes annonces et actualités. Casting de la série "Top Boy"
S01E01 Episode 1 31/10/2011 Thirteen-year-old Ra'Nell finds he has to "step up and be a man" when his mother Lisa has a breakdown and is hospitalised. At the same time his mum's friend Heather, enlists his help in a dangerous plan she has concocted to give her unborn baby the chances she never had - "even if it means doing one wrong thing to get to the right place." S01E02 Episode 2 01/11/2011 Dushane and his partner Sully find themselves hugely in debt to Raikes and under increasing pressure to retrieve their stash from Kamale. Elsewhere, the terrifying consequences of Dushane's ambitions begin to spill into the lives of his family. Lisa is still in hospital but showing signs of improvement. She is allowed a day release, and pins all her hopes on a reunion with her son Ra'Nell. Unbeknown both to her and Ra'Nell's guardian angel Leon, he has been recruited by Heather to help run her secret project. S01E03 Episode 3 02/11/2011 In the penultimate episode Dushane and Sully know that time is running out to find Kamale and repay their debt to Raikes. Obsessed with finding out whether there's a grass within their own gang, Sully instructs fellow gang-member Dris to intercept his prime suspect: Ra'Nell's best mate, the hapless Gem. Ra'Nell turns to Leon to help Gem, bringing Leon into further conflict with Sully. S01E04 Episode 4 03/11/2011 Dushane's loyalty to his hot-headed accomplice and best friend, Sully, is tested to the limit when he discovers him openly carrying a murder weapon. With the police out in force and their situation spiraling out of control, Raikes offers Dushane a monstrous solution to all of his problems. Meanwhile Ra'Nell, inveigled into protecting Heather, decides to negotiate directly with Dushane over the price of her crop, which draws him further into a catastrophic series of events triggered by Sully's duplicity. S02E02 Episode 2 27/08/2013 Dushane visits Joe in hospital and learns from his injured partner that their drugs were stolen by a gang of Albanians.Sully and Mike are asked to carry out a hit. Sully reveals that their target is someone very close to home, but things don't go as planned. Following Dushane's earlier arrest, the police are everywhere on Summerhouse Estate. Nevaeh, R'Marni and Michael, the younger members of Dushane's crew, take a precautionary break from dealing drugs, and go on a shoplifting spree.Disastrously, Michael is arrested and placed under intense questioning from police. Ruthless entrepreneur Vincent forces Gem to skip school and deliver drugs for him, while Ra'Nell's mother Lisa is shocked to learn that developers plan to buy every property in the street. S02E03 Episode 3 03/09/2013 Rafe rescues his brother Jermaine held captive by Sully and Mike and vows to take revenge. Gem is terrified when a drug delivery he is making for Vincent goes wrong. He turns to best friend Ra'Nell for help to confront Vincent. Dris hears that Kayla, a witness to Kamale's murder, is being questioned by the police. Dushane asks Rhianna to intervene. Desperate, Sully asks Jason to arrange a meeting for him with Dushane. S02E04 Episode 4 10/09/2013 Solicitor Rhianna represents Kayla but warns Dushane that she is likely to talk to the police. Following Vincent's brutal attack on Ra'Nell, Lisa is forced to turn to Dushane for help. And Gem's father, Mr Mustapha, decides to deal with Vincent in his own way. Dushane and Sully resume an uneasy partnership. Discovering a novel entrance into the Albanians' warehouse, they prepare an attack to retrieve the stolen drugs - but it's a plan that leads to shocking and tragic consequences. Envie de parler de Top Boy ? Les discussions sont là pour vous. Retrouvez toutes les informations sur Top Boy lancée en 2011 : synopsys, casting complet, acteurs, scénariste, réalisateur. Découvrez des séries similaires à regarder également. Faites vous une idée de la série grâce à la note des membres et aux critiques des internautes.